NB. Due to the unique auto feed technology, the Auto+ 600X only accepts standard A4 copier paper (up to 80gsm). Any paper with a glossy finish or anything thicker such as folded paper or card should be shredded through the manual feed slot. Also note that A5 sheets (or larger sheets such as A3 roughly torn in half) are only accepted through the bypass slot and will not work in the Auto Feed system. 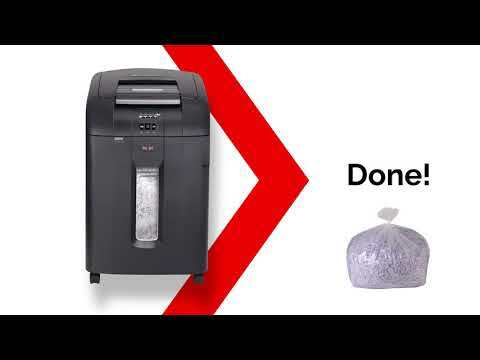 The use of a P-4 shredder such as the Auto+ 600X will aid your GDPR compliance.